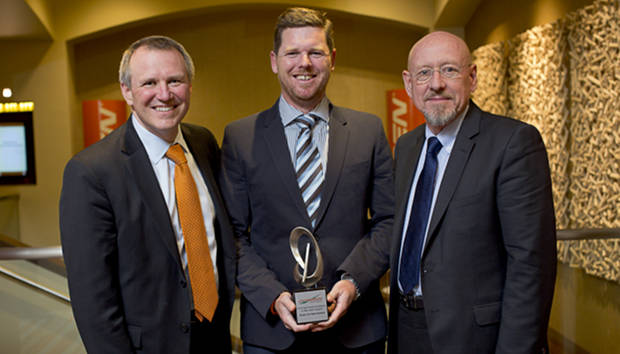 Jacobsen, a Textron Inc company and manufacturer of high-quality turf maintenance equipment recognised its top-performing dealers and salespeople during the Golf Industry Show in Orlando, Florida recently. Among the Asia-Pacific distributors recognised for their dedication and exceptional contribution to the Jacobsen business were McIntosh and Sons of Western Australia and Power Turf New Zealand Ltd of Rangiora, near Christchurch. 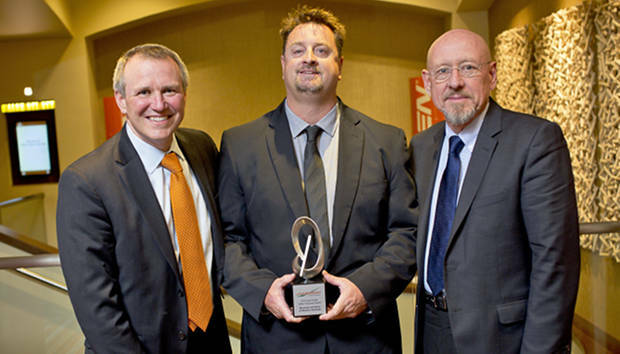 Chuck Greif, Managing Director of Jacobsen Asia Pacific commented,McIntosh and Sons were the recipients of the Sales Conquest Award and Power Turf received the Investment in Aftersales award, coming on the back of last year’s APAC Dealer of the Year award. “Strong demonstration programs along with exceptional field support over the past 12 months have enabled McIntosh and Sons to capture three key accounts in Western Australia, all of them competitive. Such were their efforts that they signed all three of these conquest accounts to five year Preferred Supplier Agreements, paving the way for future growth for their business and Jacobsen in Western Australia. Textron Inc. is a multi-industry company that leverages its global network of aircraft, defence, industrial and finance businesses to provide customers with innovative solutions and services. Textron is known around the world for its powerful brands such as Bell Helicopter, Cessna Aircraft Company, Jacobsen, Kautex, Lycoming, E-Z-GO, Greenlee, and Textron Systems. For more information visit: www.textron.com.